Some very interesting facts and great new innovations in the November 2011 issue of ASHRAE Journal. Drain water heat recovery is an extraordinary opportunity to reclaim energy that is literally washed down the drain. Water heating accounts for 17% of residential site energy consumed, when heated water is sent down the drain it still contains 80% + of the energy infused into it. 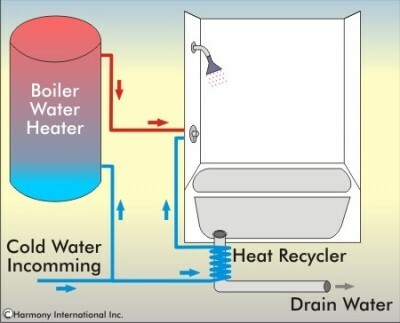 Various units are available to recover much of this energy and use it to temper the water being heated for the same use. Capsys will be exploring this technology and use on future projects as we strive to continuously improve on the energy efficiency of our buildings and product.